But first, what is integrated marketing? Integrated Marketing is basically an approach to unify all communication channels in any company. In this way, the company will offer a much more consistent and pleasant brand experience for the client. Integrated marketing represents a great opportunity for companies to do branding, reinforcing in the communication channels, the message they really want to convey. Integrated marketing does not mean to run the same ad on all channels. Repetition reduces ROI and increases the risks of repelling prospected customers. Rather, integrated marketing is all about delivering the message in a pleasant way, so that it helps the brand to be easily recognized by the customer. For integrated marketing to work, we must use interrelated messages, short and seductive, plus a planning of objectives and specific calls to actions. Once this is achieved, the message can then be broadcast in chosen media channels. The message must work in harmony, by ensuring that consumers can understand it. Focus groups, trial runs on social media, and asking for feedback from those seeing a test run of the integrated marketing messages are simple ways of making sure that the public is getting the message, the way the integrated marketing strategy planned to. …learning from the integrated marketing strategies implemented by the top big brands? Let’s get started with this brand, which has always shown that it goes further and seeks new ways to connect with their clients. 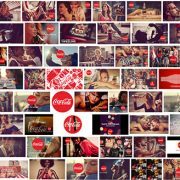 It is a change in the global strategy of the brand, which has been disseminated by most of the communication channels, and that internally, seeks to extend the value and magic of the Coca-Cola brand out to all their variants with the aim to have a “unique brand “. The announcement of “Taste the feeling” captures the experiences of life and conveys the idea that the simple fact of enjoying a Coca-Cola, makes your everyday moments even more special. This message features an original song, “Taste the Feeling” reinterpreted by Conrad Sewell, with what undoubtedly, the brand reinforces the commitment of the company worldwide to promote options to the different lifestyles of each of the consumers. The message was unified, yet not in a rigid way. 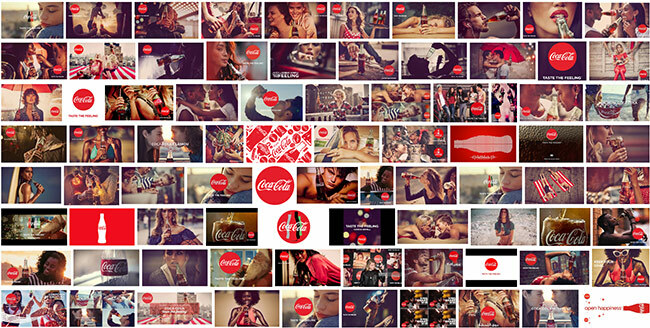 In different countries around the world, Coca Cola used the same theme for advertising, with different singers. All ads used the same shooting style, same colors, same spirit. Anywhere in the world, when you see any of Coca Cola’s ads, you will notice the slogan right away. Not only that, but all sorts of Coca Cola’s advertisements carried the same theme, for years. This is the right way to implement integrated marketing. And we have Dove, a brand that conceived an integrated marketing campaign, which reached the hearts of all. Through a video, they launched the “Choose Your Beauty” campaign. The campaign encouraged women to reflect and reconsider the concept of beauty they had and with which they ‘evaluated’ themselves. This campaign consisted of placing posters that said “Beautiful” and “Average” at the doors of stores or shopping centers. The women had to decide from which door to enter. With this short video, the brand managed to put on everyone’s mouth, through social networks, the importance of women’s self-esteem, while inviting them to live a different experience if they consumed the product. Here, Dove sticks to its main brand message: building upon natural beauty, using natural products. It also reaffirms Dove’s slogan: you are beautiful. Integrated marketing has different ways for applying it. To achieve this, we must clarify that the coherence of integrated marketing leads to efficiency. If you want to build a successful brand, the message you want to advertise should be adapted to the situation and needs of each moment. For example, at Christmas, many brands want to convey a family and Christmas message, but as soon as this season ends, it is necessary to change the message and look for new concepts. Understanding the environment is the basis of integrated marketing strategies. It is vital to visualize who are the customers, their surroundings, what they like and what they do not. 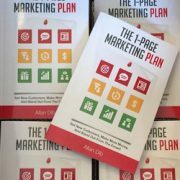 For companies to be more productive, each department must know at least the basic principles of marketing, as this will help to better connect with the client. To ensure that all promotion strategies complement each other, anytime, anywhere. Each promotional campaign must pursue a specific objective, and this must be apparent in each of the actions taken to achieve that. …which is to keep the customer satisfied and make the company grow and consolidate over time. But how to reach customers efficiently? And how to identify their needs and wants? Successful companies are those with the right answers to those marketing questions (and others). Those companies found out that advertising is a very expensive solution because it can go wrong easily. Relying too much on advertising to move goods, create brands, and meet sales targets is not without its risks, challenges, and drawbacks. A critical piece was missing in their marketing mix. Marketing alone wasn’t a guarantee of success. The term Integrated Marketing Communications (IMC) was born in 1989. 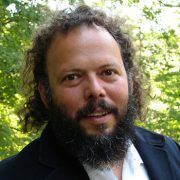 In 1993, Don Schultz published the first book devoted to IMC, entitled: Integrated Marketing Communications (Book link). There, Schultz described IMC as a totally new way of looking at the whole of marketing communications, rather than looking at each of the parts separately. This innovative approach aimed to unify all communication channels. Integrated marketing communications is achieved when each element of the communications mix reinforces the others for greater effect, when communication becomes the driving, integrating force in the marketing mix and throughout the organization. Simply, to build long term relationships, and not to t focus only on a sale. Brands focus less on making a sale, and more on building relationships with their customers and other stakeholders. This greatly and deeply affects brand messages and gives way to relationship marketing. Relationship marketing is all about creating, maintaining, and enhancing long-term relationships with customers and other stakeholders (employees, investors, media, etc.). Develop a full view of the customer by acquiring useful data. Great marketing will not win back a customer lost from shoddy products or poor service. So basically, IMC allows companies to adopt a consumer-centric (and not a marketer-centric) perspective in creating brand messages. By using IMC, companies can initiate, develop, and nurture long-term relationships with customers. … and this is by one of the most important benefits of integrated marketing communications. In his book “Marketing Management“, Kotler points out that customer retention is enormously profitable. This is because acquiring new customer is almost five times as expensive as retaining old ones. Repeat customers keep a company profitable even in tough economic times. A company that makes a small increase in customer retention may reap big profits in return. 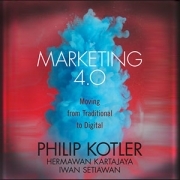 Then in his book “Principles of Marketing“, Kotler builds upon this fact, saying that long-term customers are less sensitive to the marketing efforts of other competitors. A small increase in customer retention may lead to big profits in return. For that reason, a company’s first market should always be its current customers. Marketers should focus more on increasing retention and optimizing lifetime customer value. IMC messages / brand messages / advertising may appear in many forms of marketing communications like: commercials, websites, product placements in TV shows, coupons, sales letters, event sponsorships, telemarketing calls, emails, newsletters. etc. For advertising to work best, it must be thoroughly integrated into the marketing communications efforts of a business. Customers automatically integrate all the brand-related messages that they encounter. The way they integrate those messages determines their perception of the company. …websites, blogs, news reports, gossip, experts’ opinions, word of mouth, financial reports, and even the CEO’s personality. IMC gives companies a better opportunity to manage or influence those perceptions and create a superior relationship with those stakeholders. The simple fact is: everything we do (and don’t do) sends a message. 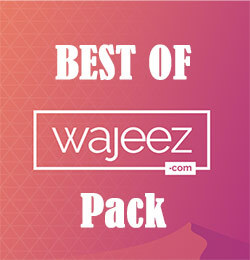 The product, price, packaging, color, design, layout, distribution, etc. Employee interactions send messages to customers. Advertising, sales promotion, personal selling, merchandising materials, publicity releases, event sponsorships, etc. Brand messages are successful (or not) based on the feedback received from consumers (recipients of marketing communications). Feedback can take many forms: redeemed coupons, website visits, phone calls, visits to a store, Facebook likes, comments, followers, shares, tweets, increased sales, responses to a survey, or email inquiries.